Listening Session 009: Launching into the deep end of the Grateful Dead's psychedelic universe to enjoy a journey through some mesmerizing and hypnotic musical landscapes. If you've been reading these pages for a long while, here's confirmation that new riches can forever be discovered in the Grateful Dead's concert history. A personal favorite, we come to this performance after two years of reviewing other shows before it. Yet the magic within this concert could rightfully have placed its review among the first handful added to the site. Through the luck of timing and good trading partners I was able to feature this recording as the very first round of my Audience Devotional Tree. In this day of not having to hunt down lists and strike up relationships to acquire new tapes, it is difficult to convey the excitement and power associated with being able to turn on an enormous crowd of traders to a previously un-circulating gem. But such was most certainly the case when I had the pleasure of digitally seeding out this tape back in 2000. Historically through the tape trading ages, there were always a few armfuls of dates which could cause most any trader's eyes to go wide. Bumping into a known low-gen, complete audience tape upgrade of 05/20/73 was indeed one of them. The show is an enormous three set monster in an outdoor stadium, packed full of classic 1973 fare. But things go wildly off the charts as the band moves from Truckin' into Nobody's Jam and beyond. Some sort of cosmic switch gets flipped, and the band takes off, pulling every living soul deeply into the secret spaces of their private musical muse. 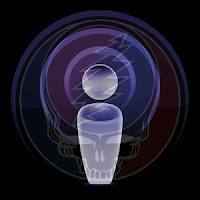 As the Nobody's Fault But Mine Jam falls away, a door opens into the purest of Grateful Dead improvisational exploration. The guitars begin to echo each other's little triplets and runs, like birds or coyotes conversing across miles of forest. This echoing casts the music into a slippery kaleidoscope of interweaving musical measures. In mere moments, the audience tape is defying all possibility of representing just some kid holding a microphone amidst a sea of concert-goers in an outdoor stadium. Every conceivable distraction is bleached away into a burning white backdrop leaving nothing but the steady flow of music to fill the ever expanding "now." It's as if some incomprehensibly intricate network of gears has finally slipped into sync setting free an experience that sears away all but our most inner attention. The music grows and turns, drawing this singular moment into one prolonged expression of joy. These are psychedelic winds. Banners furling, catching sunlight, reflecting raindrops. Colors pooling, intermixing, turning infinite hues beyond count. The jam that has opened up here is fully immersed in the richness of the Grateful Dead's truest expression. The cadence and the loping lazy jazzy journeying are singularly the Dead's. It's been a long show, and they have finally made it to their own desired destination. They let this music play itself. It expands and contracts causing the ground and sky around us the breath peacefully. It's late May 1973, and if you trace the musical undercurrents that evolved over the 30 year history of the band, you can actually pick out the binding ties between the purest improvisational moments from the Fall of '72 and what we would hear fully develop into the jazzy 1973 playing style that came in late June ‘73 and beyond. In this jamming the convergence produces an utter uniqueness which sweeps us away in an uplifting joyfulness tinged deeply with psychedelic feedom. This is one of the finest 8 minutes to come out of 1973 altogether. It's impossible for you not to close your eyes and smile as Bobby strums sunbeams, Jerry whips out licks that spiral like wisps of perfumed incense, Phil bounds down a hill like a big bear, and Keith fills all the empty spaces perfectly. Tell tale hints of Other One precede a short drum break. The crowd around us reappears, as if coming up for air. At the end of Drums, in the split second before Other One explodes, we are treated to one of those "audience tape only" moments where someone shouts out something so nicely timed that it catapults the pleasure of the musical experience even higher. A guy calls out "Hey man!" and over him the Other One tidal wave explodes, impossibly huge. We are immediately locked directly back into the glowing furnace of musical purity. It's such a great one of those audience moments that I even made sure to set the track ID a half second early to be sure to start the Other One track with this guy's call out. Surging along with its full force gale, Other One thunders to fill every empty cavity of time and space. Familiar rhythms sing to us, while the band stokes the fire. We burst into the first verse and it slingshots us out into a portion of music where all previous tethers to reality come undone. Jerry and Phil slowly disown the song's key signature as the count of measures is replaced by a gurgling slow motion sea. Outer space stories in languages beyond words come through the music as Billy's drumming falls completely away and the rest of the band dances as delicately as dew under starlight. The music keeps pushing further into this outer world. New passages appear bringing unknown landscapes and perspectives. Eventually, we slide into the "Tiger" meltdown and Garcia's guitar explodes into a fire hose torrent of broken glass. Physical reality is splintered infinitely in an onrush of fractaled mirroring wormholes. And then, outdoing the jam before Other One, a passage emerges fueled by Bobby hammering out a percussive Caution-like strumming with Billy's intricate cymbal and snare work. Over this, Jerry begins hitting wide, gaping, primal bell-tone notes which stand as tall as dinosaurs. He adjusts his settings and his sound transforms into something more full of high and low end than can be imagined existing on this mono outdoor recording. Our being is elevated beyond recognition. He takes us so far away we might never find our way back. Phil is stomping broad strokes at impossible angles. Keith is ringing gorgeous bell tones of his own which he would do all too infrequently in the Summer of 73. The music pulses and pulls with unrecognizable sounds and details which defy knowing. The recording has somehow become immeasurably intimate. It seems to be born from the center of our soul more than off of some enormous scaffolding of stage in the distance in front of us. We are more music than anything else; more the Dead than the audience. This end portion jam is fleeting, yet it delivers an overflowing measure of the Grateful Dead's truest face; its heart of hearts. As is often the case, we are in a place absent of any desire to leave. The Eyes OF The World that follows is wonderful. Played at a cooled down tempo, it endlessly flows with rivers of sunshine. The classic 1973 fare that represents the rest of this show is peppered with some outstanding moments. China>Rider and Playin' are obvious tunes worth some listening. But even more than that, there are a few real stand outs in the second set. Big Railroad Blues and Greatest Story Every Told tower beyond any preconceived notion you might have of these tunes as mid-set filler. Both Weir and Garcia deliver knockout strength blows throughout. At the risk of now having over-hyped them for you, make a point of giving these your full attention. I return to them every once in a while when I want to be reminded of the versions that made me a big fan of these songs over all.